This is a tea that I got from my sister, which she got from the Starbucks-Teavana rewards program as a perk from being an avid Starbucks patron. Jasmine Dragon Phoenix Pearls are rather cute! They’re small rolled pearls of tea leaves that come packaged in a standard Teavana bag with wire tabs closure. The smell is amazing – as a fan of jasmine, the floral scent is very inviting. If you’re not into jasmine-scented teas, this would not be a tea for you. Jasmine Dragon Phoenix Pearls isn’t a tea complicated by a long list of ingredients, it consists of green tea that has been scented with jasmine blossoms. The page for this tea on the Teavana website boasts that the tea pearls are made up of three leaves each, and hand rolled – as all pearls are. 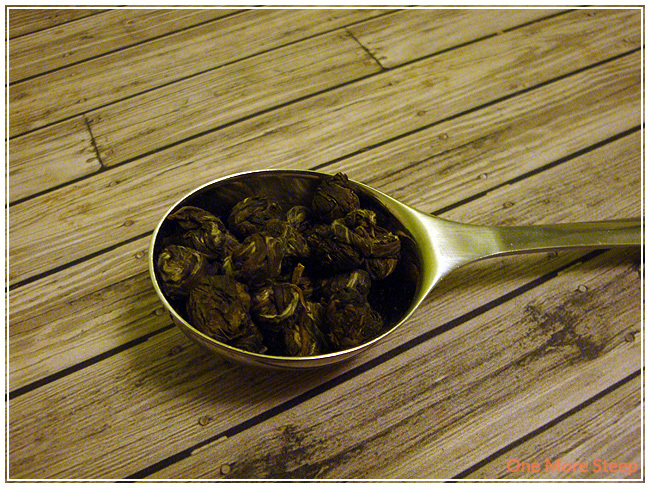 The scent that the dry leaf gives of is floral with a hint of sweetness that I find many jasmine scented teas often have. Teavana recommends steeping Jasmine Dragon Phoenix Pearls in 79°C (175°F) water for 2 minutes (Teavana’s website states 3 minutes for recommended steeping time). Jasmine Dragon Phoenix Pearls steeps for a second time fairly well – the flavour is still very good and matches up with the first cup. On the third steep, tea begins to lose some flavour and is more like flavoured water. 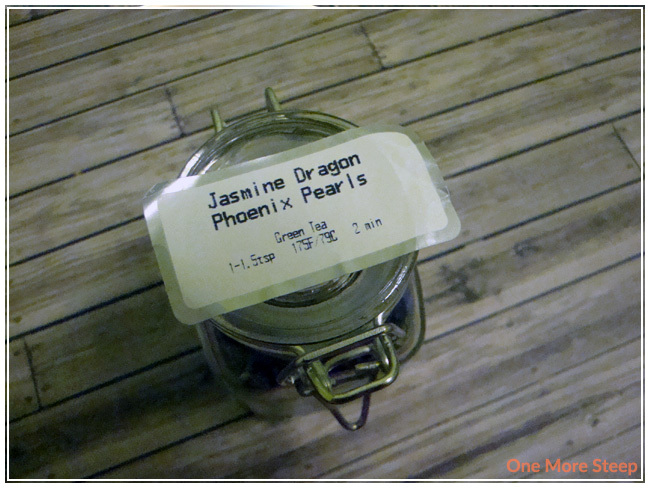 I loved Teavana’s Jasmine Dragon Phoenix Pearls. 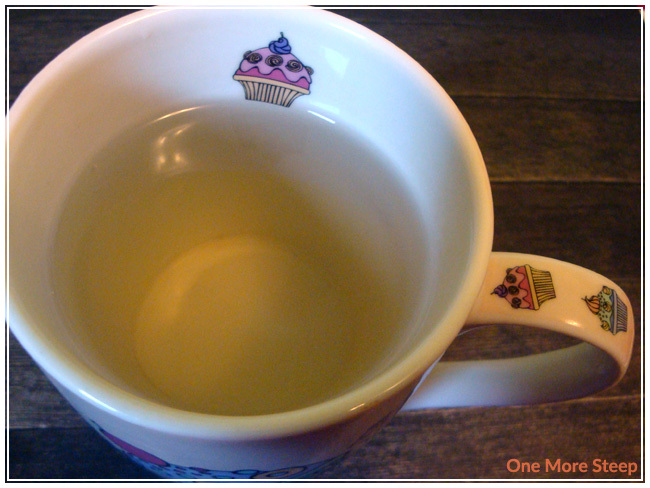 On the surface, it seems like such a simplistic tea, but the taste of this jasmine green tea is delicious. It’s subtle, understated, and smells of jasmine but isn’t overwhelming. I quite loved each cup of this tea I had because it’s delightful. Because the aroma and taste of this tea isn’t particularly strong or commanding, it’s nice to have with a snack of some sort as it doesn’t distract from what you’re eating.